You will leave things out-we’ve tried to limit that but it will happen. Add to the budget and meet with your spouse or accountability partner on how to fix. This isn’t instantly going to keep you from living paycheck to paycheck. It will over time. You must be committed to winning financially or you are wasting your time. There are many ways to format a budget-mine worked for me. The important thing is to do something; over time you can build your own way of doing it that fits your personality. The only budget that never works is the one you don’t do. Continue doing what you have been doing the past two weeks to help you get better at your budget. Begin to develop an emergency fund. Update or complete for the first time your check book register. Even if you don’t write checks! Don’t rely on the balance shown by the ATM or online. I mentioned using an IRS website to help you determine how to accurately determine the number of exemptions you should claim to help you get your refund during the year. That website can be found here. I also mentioned listening to Joshua Sheats podcast titled Radical Personal Finance. He had an interview with Cliff Ravenscraft, The Podcast Answer Man, about how Cliff was able to pursue his dream once he straightened out his finances. 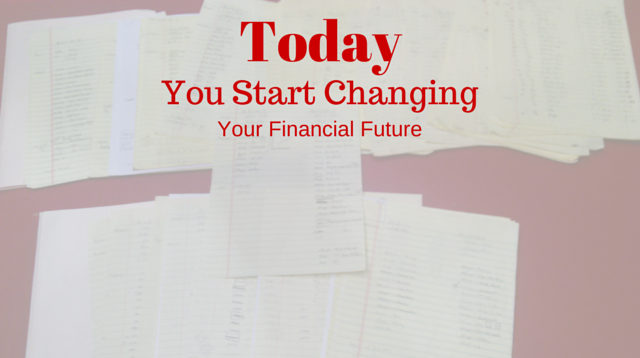 You can hear this episode at the Radical Personal Finance website. Finally, I mentioned an online budgeting tool that is new on the market. It was developed by the team at Ramsey Solutions and can be found at www.everydollar.com. It’s free if you want the basic version. I want to point out that I am not an affiliate of any of these recommended sites or individuals. I’m just pointing you to them for your benefit. Finally, if you have enjoyed any episode and you feel like the information that I am providing has helped you, please let me know by commenting or sending an email to drthrift@drthrift.com.